DNA synthesis, a critical function of all living cells, results in an exact copy of each chromosome in the nucleus. Human cells have two copies of 23 chromosomes for a total of 46. The DNA itself is a double-stranded helix (like a twisted ladder), and the two strands run chemically in opposite directions. DNA replication machinery called polymerases, however, only work in one direction. When the DNA helix is split apart during replication, the two strands are copied in different ways. For the strand reading in the chemically proper direction, called the leading strand, replication is simple. A single polymerase can attach to the strand and replicate all the way to the end with little difficulty, at a speed greater than a dozen base pairs each second. This is called continuous DNA synthesis. On the lagging strand, the base pairs run in the wrong direction, which means the polymerase cannot follow the replication fork where the helix is being split. Instead, the polymerase attaches to the DNA and replicates away from the fork. When it reaches DNA that is already replicated, it detaches. By that time, the replication fork has moved farther up the helix, leaving room for another polymerase to attach. This process is called discontinuous DNA synthesis. Mullis, Robert. 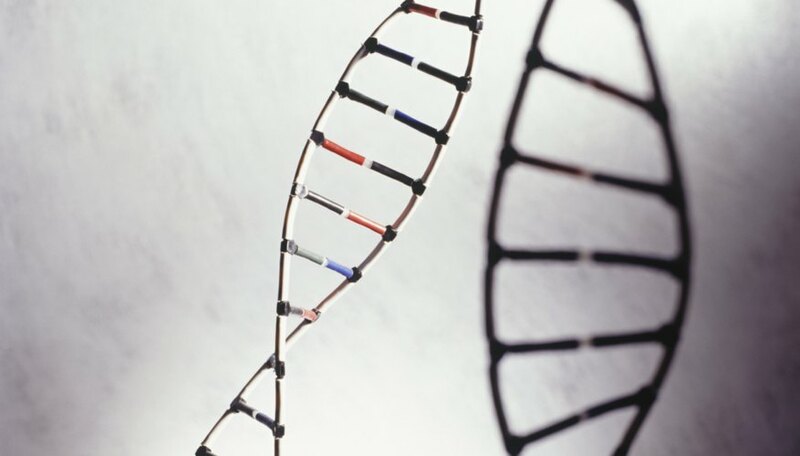 "What Is the Difference Between Continuous & Discontinuous DNA Synthesis?" Sciencing, https://sciencing.com/difference-between-continuous-discontinuous-dna-synthesis-11415.html. 24 April 2017.